Sauber have done a “fantastic job” developing their C37, that’s according to Antonio Giovinazzi who tested with the team at the Hungaroring on Wednesday. Having spent Tuesday’s running in Ferrari’s SF71H, the Italian swapped to Sauber for the second day of the post-Hungarian test. He covered 120 laps with a best time of 1:17.012. 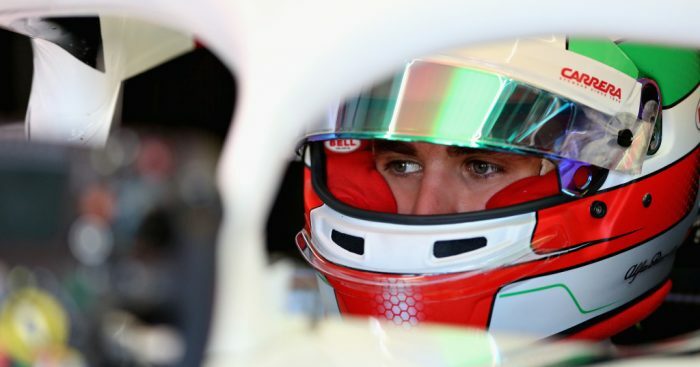 Giovinazzi, who spent his day working on mechanical set-up work, testing of new aerodynamic parts, as well as runs on various tyre compounds, applauded Sauber’s progress. He said: “I am very happy with how the day went. “It was good to be back in the car after completing FP1 for the Alfa Romeo Sauber F1 Team last week, and spending a day of testing with Ferrari yesterday. “With a full day in the C37, I feel very comfortable and have learned a lot about its behaviour on track. “We completed the planned programme which was our target, so I am very pleased. “The team has done a fantastic job in developing the car. “With the data that we collected today, they can hopefully continue to work in that direction.